So basically Wanda and Pietro are on Counter-Earth looking for the High Evolutionary for answers about their latest retcon. 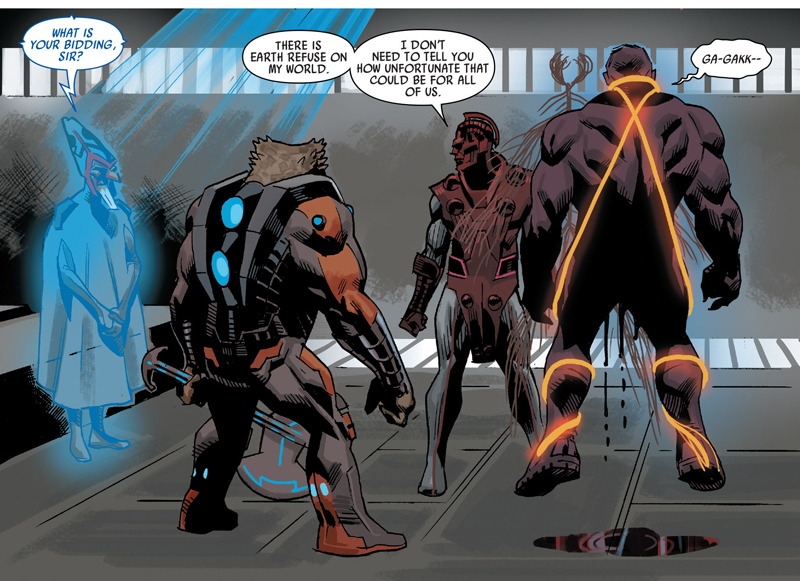 The new team of Uncanny Avengers go after them, but then everyone gets separated. The inverted Sabretooth (who's only on the team to help track the twins' scent, though they don't trust him and keep him on a leash) gets captured by the High Evolutionary. (I'm tagging Pietro and Wanda because it's about them, even though they're not in these pages).